A statement nursing chair can make a great nursery into a stupendous one. We spend many hours cradling and rocking our wee babes to sleep, feeding them, reading to them as they grow and seeking refuge in a comfy chair when the rigours of parenthood catch up with us. We want a chair to look good and to wear brilliantly and if there’s also a line of homewares and bedding to compliment it, then all the more power to us! 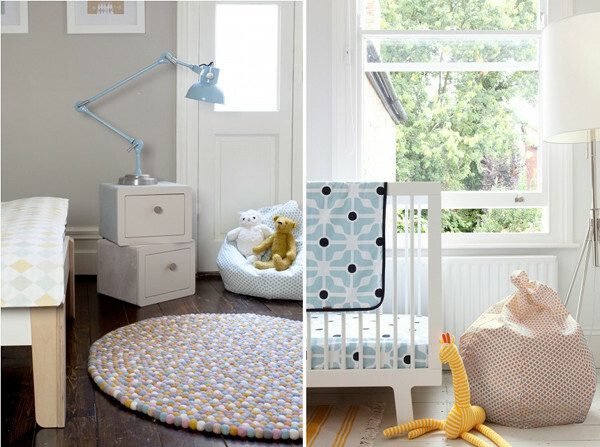 There’s a company doing all of this; making decorating a quality nursery an absolute breeze. Olli Ella has recently opened up an Australian arm of the business, having originated in the UK in 2010. We have a whole archive dedicated to Olli Ella products here on Babyology and those of you who know us well, know that we don’t put our stamp of approval on any old product. We’re actually quite ruthless about what we will and won’t write about, so our Olli Ella posts stand testament to the brand quality we always look for. Sisters Chloe and Olivia Brookman started Olli Ella from a desire to modernise the nursery by combining classic furniture design and manufacturing with a fresh colour palette and baby-friendly fabrics. Starting off with the impeccably-designed and executed Olli Ella nursing chairs, the collection soon expanded into baby and children’s bedding, rugs, wall art and nursery accessories. Olivia and Chloe’s design vision is characterised by their love of mid-century furniture and textiles – these fascinating sisters also own an art gallery in London which specialises in mid-century works! As always, the Olli Ella products come to life from experience with babies and children – Chloe now resides in Sydney with her two small ones, husband and two dogs. The most recent product release is the gorgeous sleep-safe Bumpettes, a stylish and safe alternative to traditional cot bumpers, allowing air to circulate in the cot, but keeping dummies and limbs in, and babies bump-free. The Olli Ella ethos incorporates sustainability and organic materials as its guiding principles, as well as being manufactured locally (Olli Ella gliders are Australian-made). Browsing the stunning Olli Ella collection is an absolute must for comfort-focused, aesthetically driven parents. 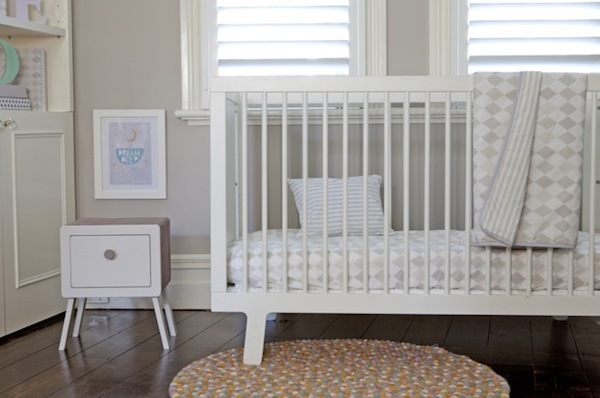 Creating a nursery for your baby is one of the greatest pleasures of preparing for parenthood and Olli Ella is proud to take part in this rite of passage for parents around the globe, having become internationally-acclaimed. Visit Olli Ella to select your key pieces and then be sure to submit your nursery for our Show us your nursery section so your gorgeous product choices can be showcased. We just love to see the products we write about in your homes!